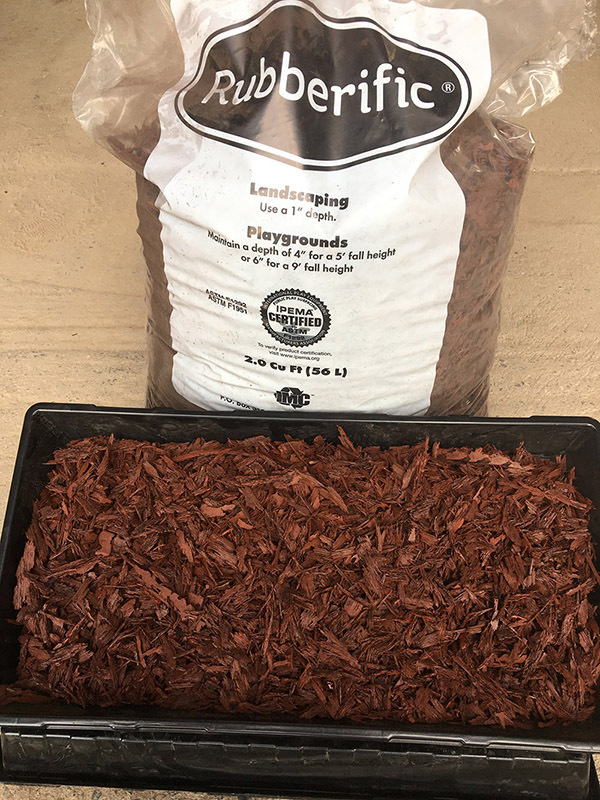 Looks like real wood mulch, but made from 100% recycled rubber. Will not fade, rot, compress, or lose it’s original beauty, even after years of exposure to the elements. 12 year color guarantee. Preserves ground moisture without absorption. Will not attract insects. 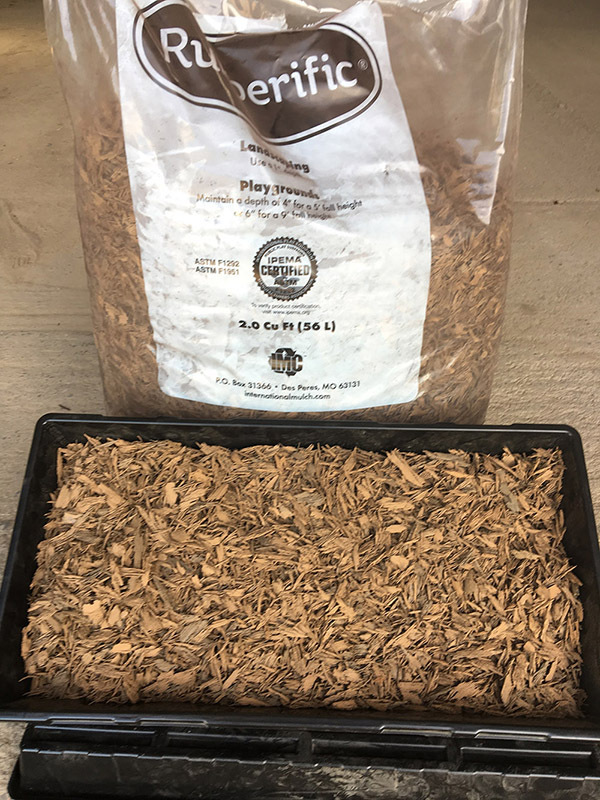 3x the coverage vs wood mulch-installation depth of just 1″ recommended. IPEMA certified. Comes in 2 cubic foot bags. 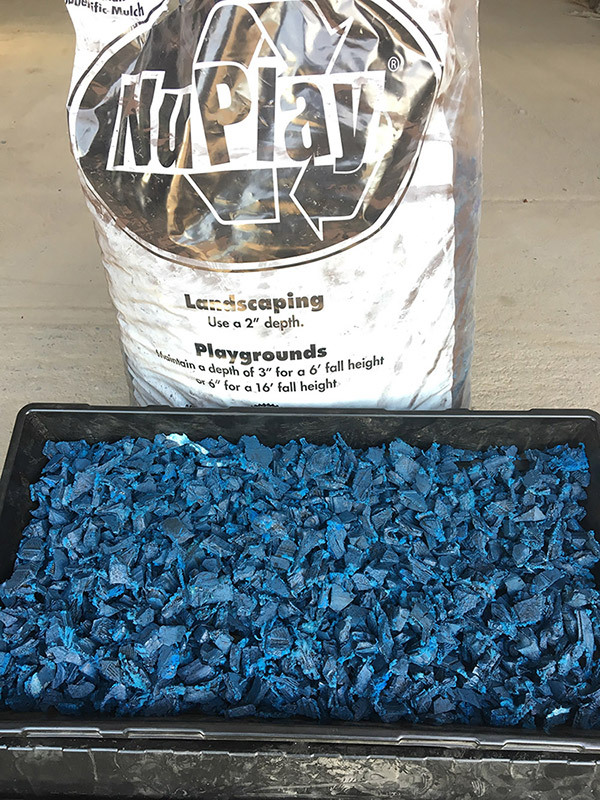 Note: Rubberific Rubber Mulch is also available by special order in Black, Caribbean Blue, & Forest Green. 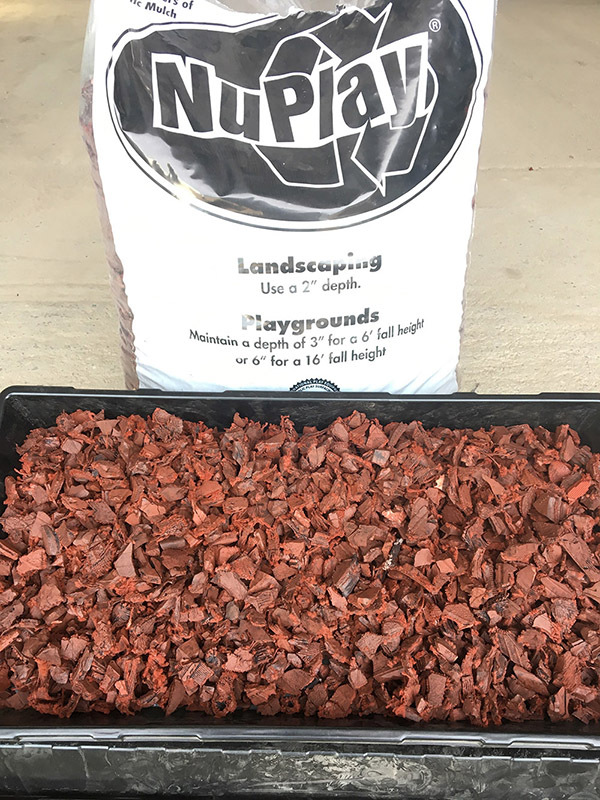 Loose fill nugget groundcover for playgrounds & landscaping applications. Made from 100% recycled rubber. Will not fade, rot, compress, or lose it’s original beauty, even after years of exposure to the elements. 12 year color guarantee. 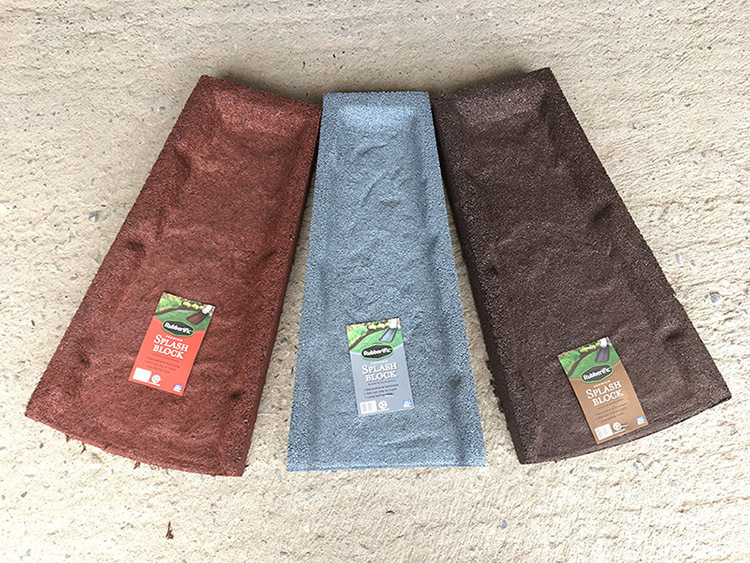 Preserves ground moisture without absorption. Will not attract insects. Drains well. Minimizes dust & inhibits the growth of molds & fungi, reducing allery risk. IPEMA certified. 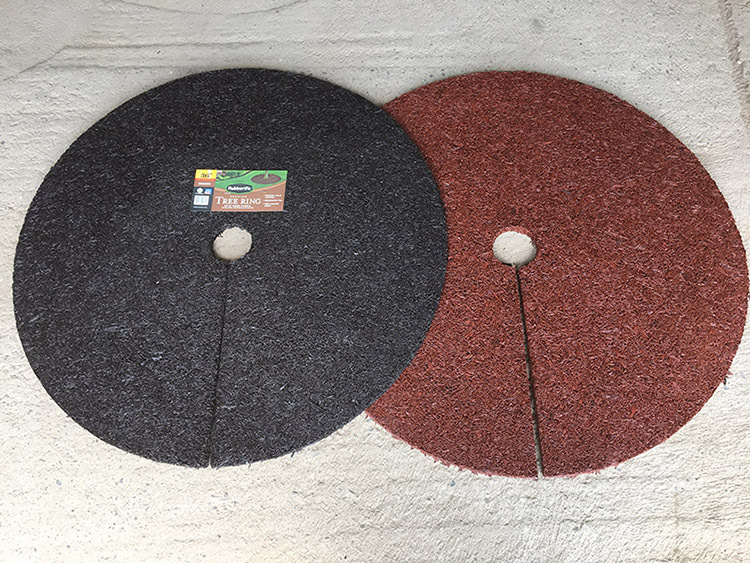 For landscaping, installation depth recommended at 2″. 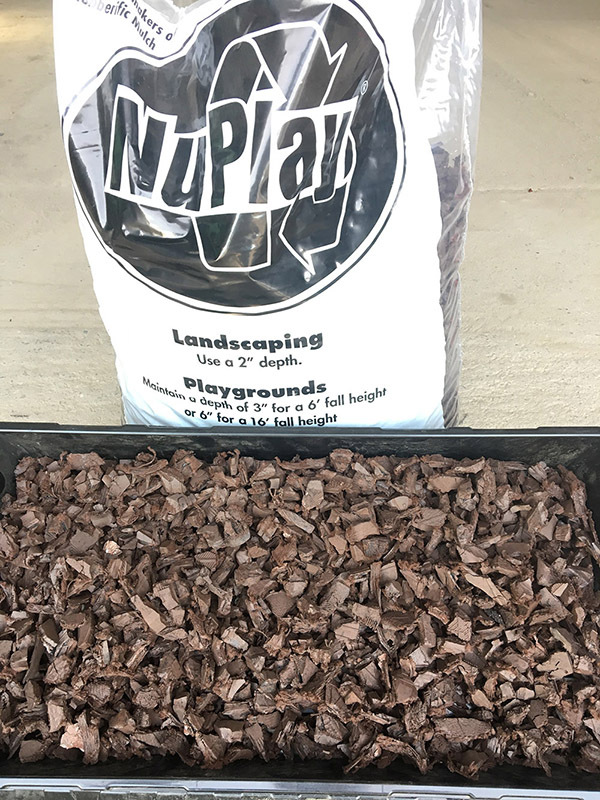 For playgrounds, installation depth recommended between 3″ and 6″ to achieve desired fall height rating (6″ depth is certified for a fall height of 16 feet, compared to only 6’/7′ for wood mulch/chips at same depth). Comes in 1.5 cubic foot bags. Note: NuPlay Rubber Nuggets are also available by special order in Black. Made with 100% recycled rubber. 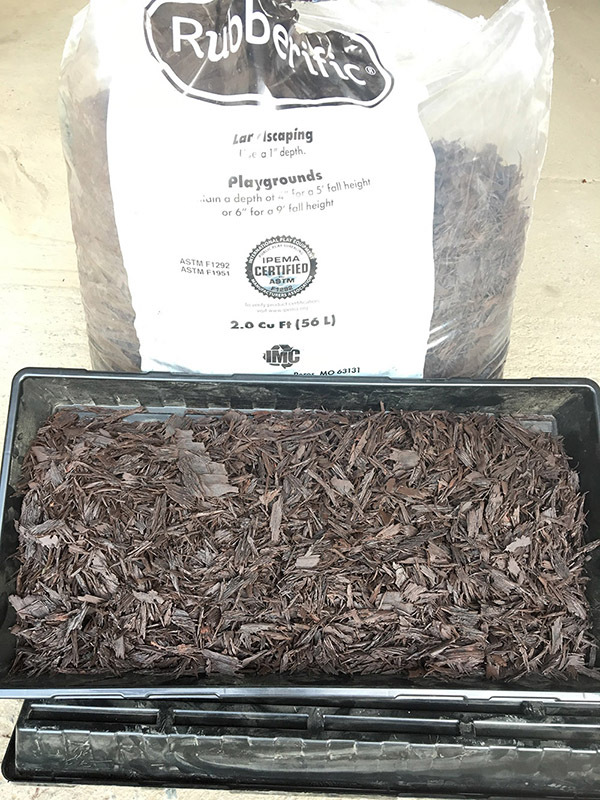 Get a well maintained, mulch look with weed fabric on the bottom side. 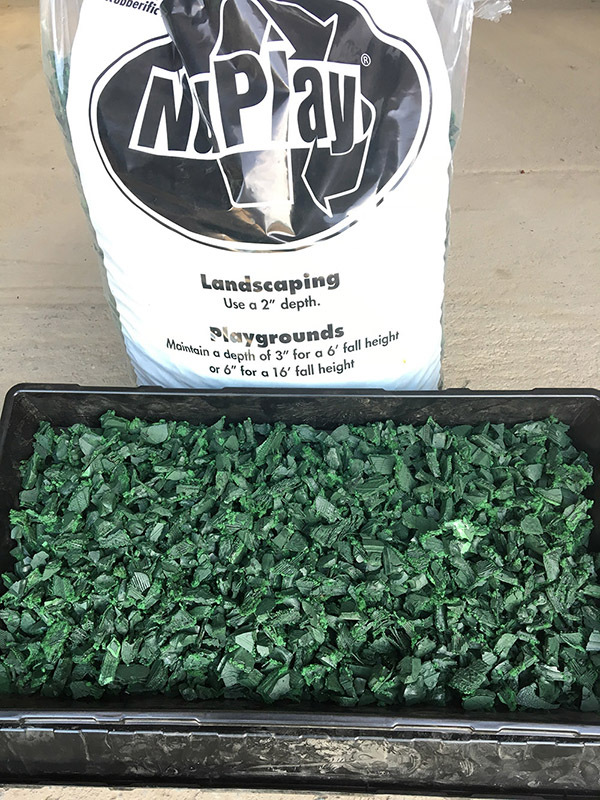 Helps prevent erosion, compaction & fungal growth while conserving moisture. Available in Brown & Redwood colors. Made with 100% recycled rubber. Light enough to move around but sturdy enough to stay in place. Will not crack or chip during freeze & thaw cycles. Available in Gray, Brown & Red.